People will offer a lot of different advice when it comes to the best offshore bank accounts. This isn’t because some of them are necessarily wrong – there are just a lot of options out there. The perfect banking country for one person or company might not be the best fit for another. There are, however, some countries that offshore investors keep talking about. In this article, we’ll explore some of the best offshore banking countries – and what they’re best at. The Cayman Islands have a strong international reputation, offering a full range of financial services to a variety of clients. The Islands are also a tax haven. This is a term that Investopedia defines as a country that offers foreign individuals and businesses a minimal tax liability. Moreover, a politically and economically stable environment is a requirement. 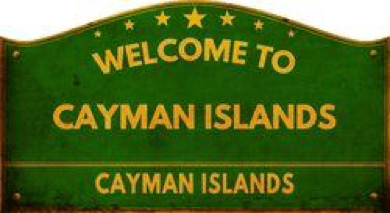 Having no direct taxation has made the Cayman Islands a thriving source of offshore banking, Cayman.com says. There are no taxes on capital gains, corporations, withholding, property, payroll, or income. In addition, there is no exchange control, allowing free fund transfers into and out of the islands in any currency. There are no reserve asset requirements. There are many tax havens in the world. So, the Caymans have done a lot to earn their high reputation as an ideal offshore banking destination. They are recognized as one of the top 10 international financial centers in the world. Additionally, Cayman Islands banking law includes confidentiality clauses for their clients. The islands have developed a strong regulatory framework for their offshore banking services. Plus, they are competitive in the Euro currency markets. It is important to note that, although Caymans offer significant tax benefits; many countries, such as the US and the UK, tax their citizens and residents on worldwide income. 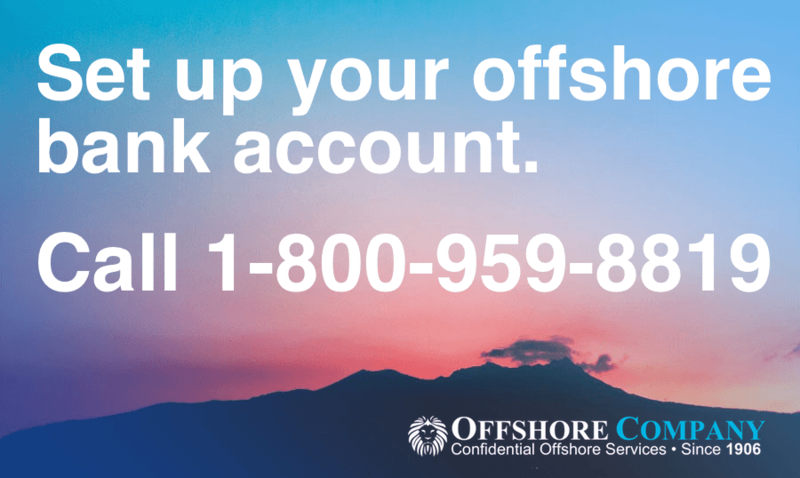 Do you have $200,000 or more that you want to put away in an offshore account? 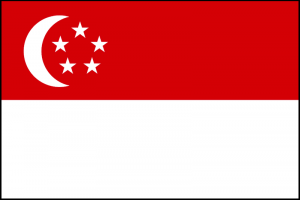 Singapore may be your best choice. The account process is usually fairly easy. In most cases, you can set up an account without ever traveling to Singapore, Sing Saver explains. One of the reasons people choose Singapore is because of its reputation as a stable, safe place to store assets. The country has strict regulation in their banking sector, meaning that your wealth is well-protected. Their banks also have cutting edge technology, allowing for safety as well as easy access to your assets. Singapore offers a variety of wealth management services, funds, brokerage houses, and accounts to manage your money. There are also a range of trading platforms to take advantage of in markets in Singapore. Plus, it gives you avenues to U.S., Hong Kong, China, Europe, and more. Accounts are available in a variety of currencies, cutting down the hassle of awful exchange rates. Banks in Singapore also poses skilled wealth management teams. These professionals are dedicated to helping you find the best financial strategy for your money. 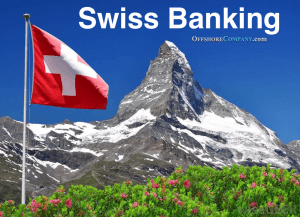 Switzerland has long had a reputation as being one of the best offshore banks to hide money. One of the main reasons for this is the country’s strict privacy laws. They date back over 300 years, How Stuff Works explains. Swiss law forbids bankers from disclosing any information about your account without your consent. Bankers who violate this law can face up to six months in prison. Plus, the authorities can fine them up to 50,000 Swiss francs. The only exception to this privacy law is in the case of criminal acts. Plus there is a once yearly reporting to foreign tax authorities to avoid tax evasion. The best asset protection plan disconnects your assets from your home country; and its courtrooms. To do so, it is important to hold your account in an offshore LLC or trust. The privacy laws in Switzerland plus the asset protection laws of the Cook Islands or Nevis make that possible. Another reason behind Switzerland’s popularity as a bank for asset protection is its security as a low risk investment. Switzerland’s political and economic climates are stable. The Swiss Bankers Association (SBA) regulates the banks. Switzerland levies no taxes on interest, dividends or inheritance, if a Swiss company does not earn those profits. Swiss law demands high capital adequacy as well. As of 2004, the SBA revised the Depositor’s Protection Agreement. This agreement guarantees that in the event of bank failure, depositors will still receive their legally privileged claims. If you’re looking to move your company offshore, the Nevis is one of the best choices. That is where we form about 70% of the offshore companies what we incorporate. What lures many people to the islands are their asset protection provisions, low costs and high standards. 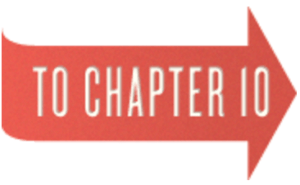 This is especially true for the Nevis LLC, because of its powerful asset protection statutes. Nevis companies have flexible operational structures and handling with very few statutory requirements. There are no additional taxes or regulations and the Financial Services Commissions maintains high standards. Nevis companies have great benefits for company owners and shareholders / LLC members alike. Companies can migrate to or from other jurisdictions, as well as consolidate or merge with other Nevis or foreign companies. There is no law requiring Nevis companies to have share capital. Plus, dividends may be declared by the company’s directors. Shareholders have protective provisions and can exit the company at a fair value. Also, Nevis companies can list their shares on stock exchanges worldwide. This includes the NASDAQ, London Stock Exchange, International Securities Exchange, and more. BVI was the former winner in this category. But with overburdensome regulation, the powers-that-be have effectively erected a giant “Go Away” sign for the jurisdiction. Hopefully they will finally wake up and realize there are other choices around the world. Perhaps the administration will replace the current regulators with those who have an inkling of business savvy. Then, perhaps they can regain their former luster. If you search for the best offshore bank account interest rates, it’s likely that Belize won’t be on that list. Instead, your search might show countries like Ukraine, which boasts up to a 20% interest rate. Sounds good, right? It does, until you consider things like inflation and bank security. Inflation in the Ukraine is 49%. That is a difference of 29% that gives it a pretty low real interest rate, per Go Banking Rates. The Ukraine has two major problems: it is a hub for money laundering and Ukraine’s currency has been declining. This means your money isn’t very secure, and you might never see that nice 20% return on investment. So why Belize? Belize has a real interest rate of 9.246%, or 2.5% without inflation, as of 2015 per Trading Economics. That’s a lot higher than the other countries mentioned in this article, in addition to the U.S. and Canada. Even though that’s no 20%, Belize is also a stable country with a lot of other benefits. Lan Sluder explains that Belizean international accounts are not subject to local taxes or exchange control restrictions. Account holders can choose from most major currencies, and the exchange rate between Belize and the U.S. is 2:1. The country is also known for upholding the privacy of their clients. 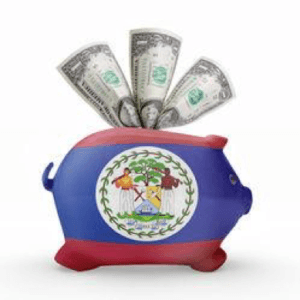 Moreover, Belizean international banks only cater to their international clients – no local clients allowed. In Global Finance’s most recent list of safest banks, one of Germany’s banks takes the number one spot. Germany holds three other slots in the top ten, for a total of six in the list of 50. 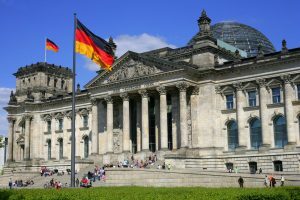 Payments in Germany claims that big reason behind Germany being the source for the world’s most secure offshore banks, is the stability of the country; especially economically. It is a popular source for savings, checking, and custody accounts. Since Germany is a modern and developed country, account holders will have access to state-of-the-art online and ATM services, 24/7. In many cases, you don’t need to be present to open an account in Germany. Additionally, the opening and maintenance costs are usually fairly low. Some banks also give the option of getting a Visa or MasterCard credit card as well. The benefits are even greater if you love to travel. That is, as having an account in Euros can be useful throughout Europe. Plus, some banks have additional perks for frequent travelers. Opening an account in any one of these countries will vary in difficulty and expense by the country and specific bank. Are you’re ready to take the next step and open your offshore bank account or get more information? Feel free to talk to one of our financial professionals. They can make sure you’re getting the most out of your account and following the appropriate tax laws. Investopedia offers some additional things to keep in mind when opening an offshore account. The basic requirements are going to be similar to opening an account in your home country. You will be asked for personal information like your name, date, of birth, address, citizenship, and occupation. Even countries with the strongest privacy laws will ask this; because it’s important when setting up your account that the bank can verify your identity. Some documents you might need for your account include a copy of your driver’s license and/or passport and proof of address. Some banks will also ask for financial reference documents from your current bank. They might ask about the nature of the transactions expected to pass through the accounts. In addition, they will need to knowing your identity. This is an anti-money laundering regulation. The banks want to make sure someone isn’t using their services in illegal operations. As you can see, there is no one-size-fits-all. There are many choice when it comes to choosing the country where opening a bank account offshore. All the countries described above have benefits beyond what they are “best at.” Some pay higher interest rates than domestic banks. So, to find out which country is right you, you can seek the help of one of our experienced financial professionals. Please use the inquiry form or phone number on this page. You can contact us using one of these methods and get started on the offshore bank account that’s best for you. When it comes to safety of your financial picture and planning your protection, you want only the safest and most secure financial institutions in the world. 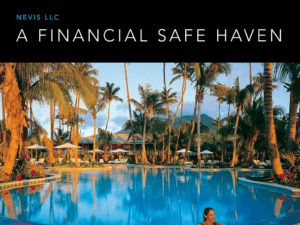 Depending on the jurisdiction you choose, this organization has relationships with secure offshore banks that offer the utmost in stability and safety. Offshore banking or offshore banks refer to the many banking and investment institutions. They are available in countries and jurisdictions other than the depositor’s home country. Technically one an consider any bank an offshore bank when it meets the above criteria. Moreover, professionals generally reserve the term for the banking institutions located in jurisdictions that have a high regard for depositor privacy. Since their origin, Offshore Banks, tended to be unfairly portrayed by both media and the home jurisdictions alike. The accusations have ranged from tax evasion to money laundering. But careful examination of the true purpose of Offshore Banking Accounts, and an unbiased examination of where illicit funds are truly held or “laundered,” sheds light on the situation. Other false accusations have centered around criticism of unsafe environments, poor regulation, etc. Again, these could not be farther from the truth. Most Offshore Bank Account jurisdictions of any repute have very sophisticated, stable banking regulations. This is because it is in their best interest to attract and keep depositors. The authorities gear these regulations towards meeting the needs of the depositor. Many of these jurisdictions rely on foreign capital held in their banks as their primary economic factor, and as their only source of foreign investment. 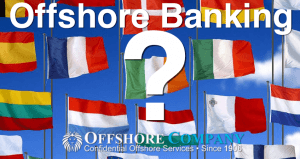 The broad definition of an Offshore bank is that of a bank that is located in a jurisdiction or country that is different from the jurisdiction or country that the depositor or investor resides. One of the many benefits of holding an Offshore banking account is that they are usually located in tax havens. Plus, they have laws that provide substantial asset protection and confidentiality benefits to the bank account holder. These jurisdictions also often allow for a relaxation of restrictions with respect to the types of offshore banking accounts. There are regulations that protect limit to risk to depositors or investors, and how the bank hands and manipulated the funds. By and large, however, the regulators want to give the depositors a wide array of banking and investment options. This amounts to decreased regulation. The more popular offshore jurisdictions often provide a substantial decrease in tax liability. Whereas, those in some countries, such as the US are generally taxed on worldwide income. For our purposes here we will focus only on those proven to provide quantifiable benefits as outlined above. These Offshore banks can be located in actual island-states such as the Caymans or Channel Islands. Alternatively, they can be in landlocked countries such as Switzerland. 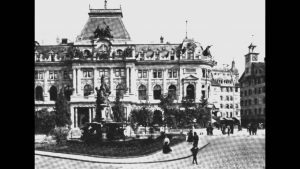 Switzerland has been a tax haven for over a hundred years – and longer than the island nations. There has been much chatter regarding the privacy of Swiss banks. You’ll notice, however, the only Swiss banks that have had issues are those banks with branches located outside of Switzerland. Those with purely Swiss locations continue to maintain strong privacy. As mentioned in our opening paragraph, there are a number of misconceptions and myths associated with offshore bank accounts in these offshore financial centers… Are Offshore Banks the Haven of Money Launderers and Criminals? We have additional information on Offshore Bank Account Myths that should be taken into consideration. 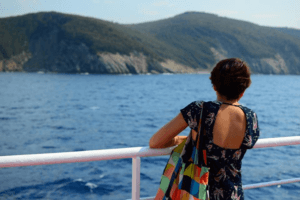 Where to Establish Your Offshore Account? 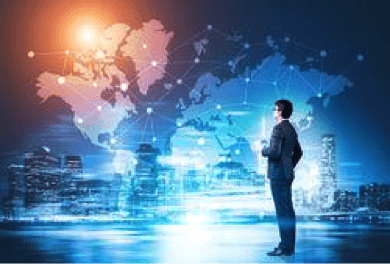 It is important that the proper jurisdiction be selected when deciding which jurisdiction to use as an offshore banking jurisdiction. The majority of the offshore jurisdictions have prudent, sound regulations. They are in place geared towards safeguarding the deposits and maintaining their confidentiality. However, some weigh their benefits in taxation, while others in confidentiality, and so forth. Though they all offer a comparatively confidential and secure environment, it bears consideration to outline what the banking goals are. Then you can choose the jurisdiction accordingly. A small minority of the offshore jurisdictions do a poor job of managing and regulating their banking systems. But the informed investor or advisor will deem these as unsuitable for themselves or their clients. Further, these poorly organized and run jurisdictions are often manipulated by illicit depositors. Hence, they prove easy targets of the FATF (Financial Action Task Force) looking for money laundering or other criminal activity. Belize Banking. Here,you will see more information about these two popular jurisdictions. It is an unfortunate fact that Europeans have always been subjected to relatively heavy tax burdens. This was as true on the British Isles as it was on the continent. Europeans were faced with the prospect of watching their hard earned assets and wealth diminish. Their wealth was plundered with every grasp of the tax collector’s hand. Therefore, the continent was ripe for a solution. Then a solution came. The small, island nation state known as the Channel Islands convinced these frustrated depositors that deposits placed in its banks could be free from scrutiny; hence, the heavy-handed taxation burden. These benefits convinced many wealthy Europeans. Soon this service thrived. Other small jurisdictions became savvy to the foreign capital-attracting magnet and they began to revamp their banking institutions. A handful of countries adopted sound, pragmatic banking rules and regulations that eased the potential concerns of investors and depositors. The Offshore bank was off to a running start! And soon the term “Offshore banking” became synonymous with any smaller, haven jurisdictions. They offered safe, secure, confidential banking with practical regulations. Soon the rest of the world was “in the know.” They began to look at these havens as viable solutions to their needs. Americans, Africans, Asians, etc., found these Offshore bank accounts quite useful for a myriad of reasons. Unlike their banks at home, these Offshore banks were not regularly subjected to political turmoil or economic strife. Most educated businesspeople knew the the for their political and financial stability and asset protection benefits. In the years since they have come into greater use and thus more visible. At the same time, the media has portrayed foreign banking accounts unfairly. Plus, the larger jurisdictions distort their reputations as the stomping grounds of the criminal underground. These high-tax nations and high-fee banks portray them as a veritable haven for their illicitly-obtained assets. They attempt to paint them as choice locales for money-laundering schemes. Money-wise investors and depositors have long known that these prejudices could not be further from the truth. They know that offshore banks can be remarkably effective havens for assets; as strongholds for funds in need of safe, secure, confidentiality. Plus, they know that these banks can safeguard their funds from the perils of civil, economic, or political strife in their home countries. Today, offshore banks continue to keep their end of the bargain. They continue to provide safe, confidential havens for those seeking to safeguard their assets and funds from the perils of undue regulation and taxation. Many a discriminating depositor has benefited from the safe, confidential, and low taxation environment. That is what what an offshore banking account has to offer. It is important to assess your goals and discuss them with a competent, experienced agent before leaping into un-chartered waters. There are many unquestionable benefits provided by establishing an Offshore bank account. Their reputation among depositors and investors for providing a viable banking location featuring protection from liability and confidentiality is growing. Moreover, offshore banks will continue with this hard-earned reputation for asset protection, tax reduction, depending on your jurisdiction, and superb depository confidentiality.